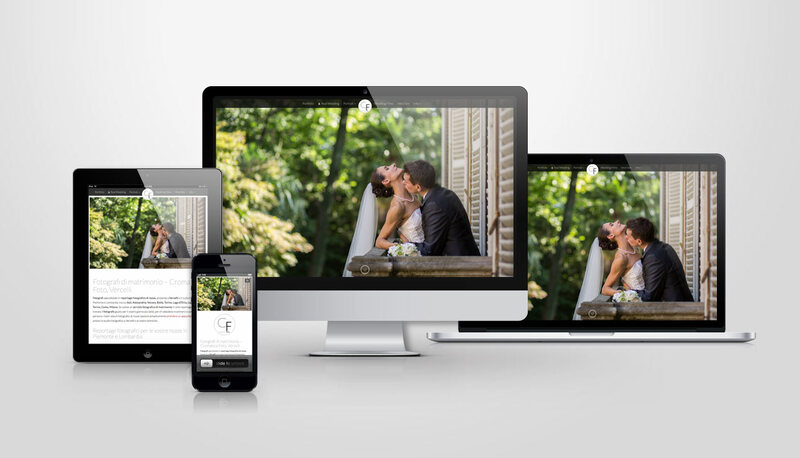 Cromatica Foto is a photography studio in Vercelli, Italy specializing in wedding reportage photography. 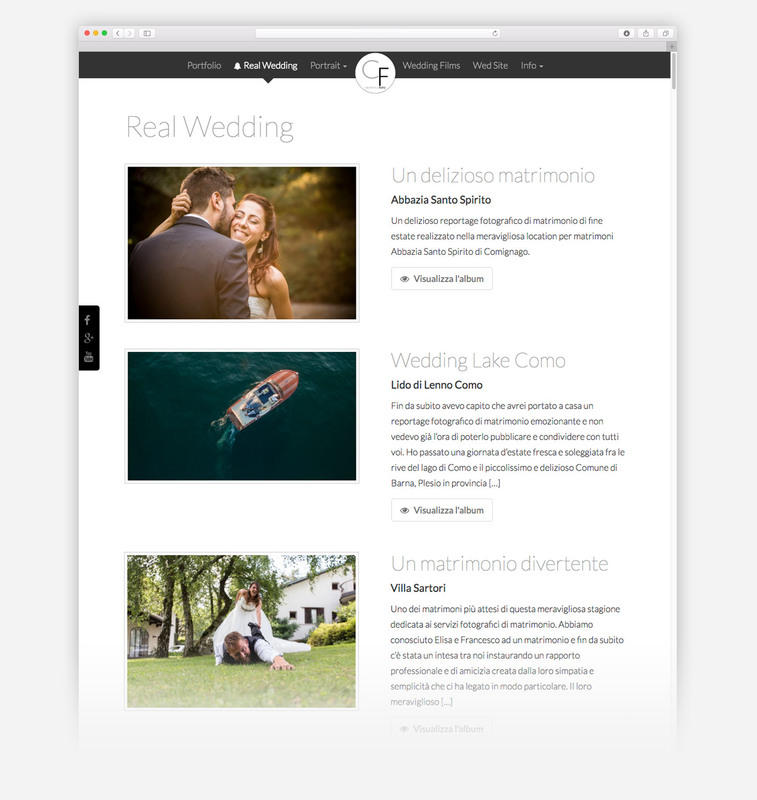 If you’re looking for a top photographer for your wedding at Lake Como or some other romantic spot in the north of Italy, Cromatica Foto is it! Vincenzo (owner and photographer) contacted me about redoing the website. 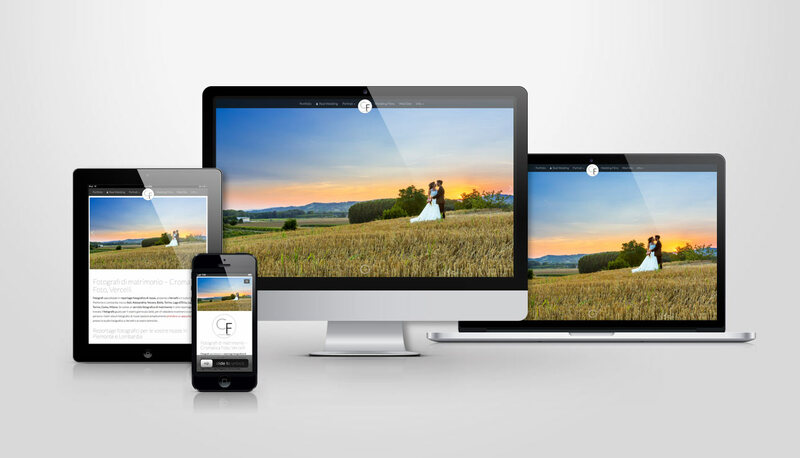 He needed something that would be easy to update and would allow him to showcase both a collection of ‘best images’ as well as individual wedding collections. As far as the design, we both agreed that what was needed was something very minimal, so the images could take the spotlight. We also wanted to stay away from the purchased themes that often overload the pages with extra scripts and elements that may never even get used. I developed the website from the ground up, using the bootstrap framework as a starting point.